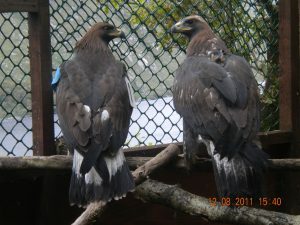 Golden Eagles epitomise wild mountains across their European range. Eagles once flourished in Ireland and left a noticeable cultural impact on nearby communities. But as society tried to tame nature and the landscape, especially from 19th century onward, eagles began to decline before becoming extinct in the early 20th century. 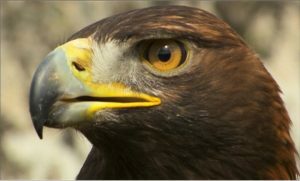 However, from 2001 onwards, Golden Eagles (collected under licence from wild eyries in Scotland) were reared and released in Glenveagh, as part of an ambitious programme to re-establish this iconic wild bird in their former mountainous haunts. 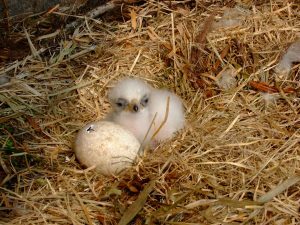 A small number of eagle pairs now breed in County Donegal and the battle to restore one of Ireland’s wildest animals is ongoing.